the meat from two slow roasted duck legs, Udon noodles, pak choi, garlic, stir-fried, drop of soy sauce, try with Lost Abbey’s Devotion, seemed to work for me last night. "...the tricks which beer can play that makes it a great companion to your lunch..." ? As opposed to the centuries of simply eating and drinking that have happily served mankind? Good post. I got the Garrett Oliver book you mention for Christmas. It's next in the reading list. This one here at Christmas lunch (roasted duck, dumplings, braised red cabbage and sauerkraut with Matuška Tmavé), and then candied ginger with BrewDog Bashah and also with Mikkeller Black. Fantastic experience. A simple mixed grill with Rauchbier works great. ATJ, that sounds great. I had the Devotion with Onion Soup ages ago and that was great too. Alan, 'As opposed to the centuries of simply eating and drinking that have happily served mankind?'. Yes. Exactly opposed to that. Chunk, your blog is a great combo. Garrett Oliver's book is just fantastic. I've read it cover to cover and back again. It's just so well written and great reading. PF, wow, that sounds like an amazing lunch! And then two fantastic beers after too. Rob, sounds great, if you can handle a rauchbier...! I haven't tried this combo but I can imagine it'd be very good. I'm intrigued now. It was simple but brilliant. I cover this subject alittle in my latest post. I was wondering Mark, do you have any advice on beer with cheese? Not being picky, but what is the difference that makes it an opposite? I am all for saying this beer goes with X, Y, Z and many other things (as most do and have done for, you know, yoinks)... but haven't we known that and been doing that for yoinks as part of the beery aspects of our cultures? Alan, I see it as a more considered approach to pairing something to get the best end result. Beer and food have been 'paired' for many years, but this is more about finding those partnerships which take a step up. Some combinations just don't work together but some are incredible. 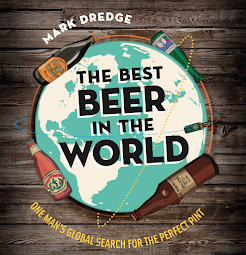 And I agree that it is a part of beer culture but I think it's worth repeating - if beer and food can be seen as legitimate pairings then it will go a long way to help the way that beer is seen in the UK. I hear you and I suppose beer is taking a beating in the UK that we don't have to deal with here in Canada. Nothing would be a greater ballot box curse in Canada than a politician taking on our beer. My JDW ham, eggs and chips seemed well matched by a Tucher Hefe Weizen, though a pokier one would have been better. Check out the blog, mark, my lad.